Interested in Renting a Cabin for $25 dollars a day in Candle Lake? We are offering Summer 2017 Package Deals. You get your own place for the Summer of 2017, from May 1st to Sept 30th, total of 5 months, it’s yours. Comes fully furnished and ready to go, plus includes all utilities, water, sewer, WIFI and Sat TV…..ZERO bills, ZERO headache. Cabins are located in the heart of Candle Lake, located behind Candle Castle Rest and General Store & Laundry Mat, providing a great, centralized location, close to all the amenities plus perfect location for the kids. The cabins come with Mini Fridge, hot plates, microwave, and Coffee Machine. Has 3 beds, (Bunkbed & Hidebed) and fully modern bathroom. Also includes kid’s playground, nice covered deck, lots of parking, room for your boat, plus a great fire pit area. PLUS you can sublet it out for $135-$150 per night…rent it to friends and family for 5 days and live for FREE, or split the cost with a buddy. Either way I think this is a great opportunity for yourself and your family to experience wonderful Candle Lake. 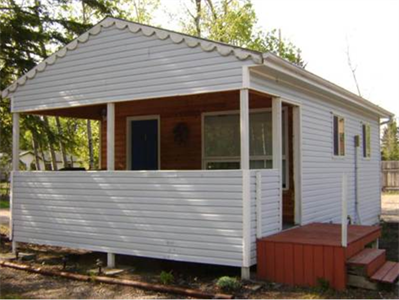 Candle Lake, Prince Albert North East – Announcing a price drop on #5 Willow Street, a 1,188 sq. ft., 1 bath, 3 bdrm single story. Now $249,900. Up Coming Listing! !